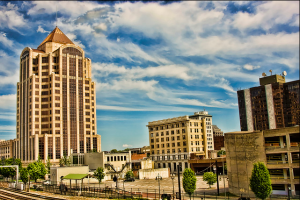 The Partnership for a Livable Roanoke Valley (Livable Roanoke Valley) is an initiative of The Regional Commission, seven local governments, and more than 60 organizations in the Roanoke Valley. The initiative seeks to promote economic opportunity and a greater quality of life for all Roanoke Valley residents through the development of the Valley’s first regional plan for livability. Livable Roanoke Valley has taken a straight-forward approach to understanding and addressing key issues affecting the region. We engaged partners, organizations, and over 1,200 citizens to gain a strong understanding of our region’s values, vision, and priorities. Based on these, we developed 11 strategic initiatives to achieve goals in the areas of economic development, workforce development, health, and natural assets. These initiatives include efforts such as “investing in regional infrastructure”, “preparing students for high-demand fields”, “improving access to healthcare services”, and preserving scenic and rural land”. We have also concentrated on ways to improve opportunity and access for low-income and underserved communities within our region. This entry was posted in Blog, Latest Updates, Livable Roanoke on June 23, 2014 by admin. Business books and business classes at universities focus on the importance of providing value to external customers and clients. Without customer value there is no business. In the transportation planning context providing value means focusing on transportation systems that get people to work, appointments and play. Economists call transportation a “derived demand” meaning that people use transporta tion to accomplish a primary activity such as showing up to work. In that sense, the transportation system’s ability to provide value to citizens rests in part on the Roanoke Valley continuously improving as a livable and dynamic place to work, do business and enjoy life. keep jobs in the area – such as passenger rail facilities and services that expand access to customers outside of the region. In short, transportation planning should focus on the concept of “Ladders of Opportunity” for individuals to access employment and services. This entry was posted in Transportation, Latest Updates and tagged Economic Development, Economic Impact, Long-range transportation plan, livable roanoke valley on June 12, 2014 by admin. The Livable Roanoke Valley Summit – June 25th – provides a larger context for transportation! Business books and business classes at universities focus on the importance of providing value to external customers and clients. Without customer value there is no business. In the transportation planning context providing value means focusing on transportation systems that get people to work, appointments and play. Economists call transportation a “derived demand” meaning that people use transportation to accomplish a primary activity such as showing up to work. In that sense, the transportation system’s ability to provide value to citizens rests in part on the Roanoke Valley continuously improving as a livable and dynamic place to work, do business and enjoy life. 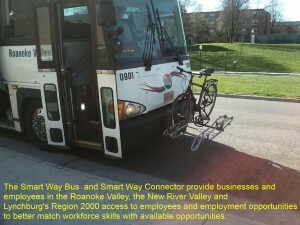 This entry was posted in Transportation and tagged Livability, Transportation Planning, Long-range transportation plan, livable roanoke valley, context of transportation planning, derived demand, workforce connection on June 3, 2014 by admin.